Seabiscuit: Excellent Sleeper | Small, but valuable. Seabiscuit was the exception. He could keel over and snooze for hours on end. His inability to straighten his knees all the way may have been the culprit, preventing him from locking his forelegs in the upright position. Fortunately, he suffered no negative consequences. While every other horse at the track raised hell demanding breakfast, he slept long and late, stretching out over the floor of his stall in such deep sedation that the grooms had to use every means in their power just to get him to stand up. He was so quiet that Fitzsimmons’s assistant trainers once forgot all about him and left him in a van for an entire afternoon in brutal heat while they went for a beer. They found him there hours later, pitched over on his side, blissfully asleep. No one had ever seen a horse so relaxed. Fitzsimmons would remember him as “a big dog,” the most easygoing horse he ever trained. 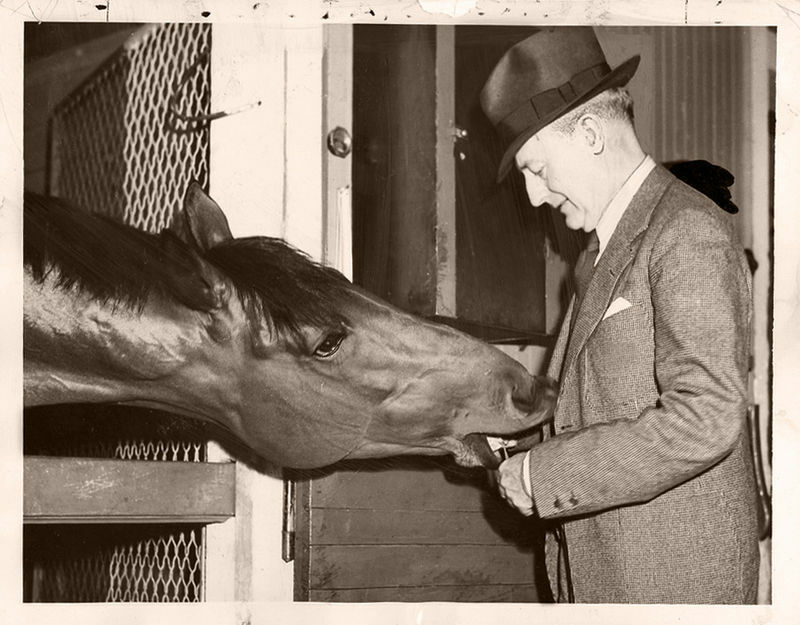 The only thing Seabiscuit took seriously, aside from his beauty rest, was eating, which he did constantly, with great vigor. To which I say, good job, Seabiscuit! And happy weekend snoozing to all.